My personal take-away thought from my roundtable experience is the importance of identifying existing institutional assets in the earliest stages of planning. On our campus, we have many: amazing human capital, substantive engagement with a broad community of stakeholders beyond the campus, and a diversity of cultures represented by our students and within our faculty. I leave with a greater awareness of the need to focus on, define, and transform our learning culture by building on such identified assets, with a collective determination to achieve a campus-wide learning culture. 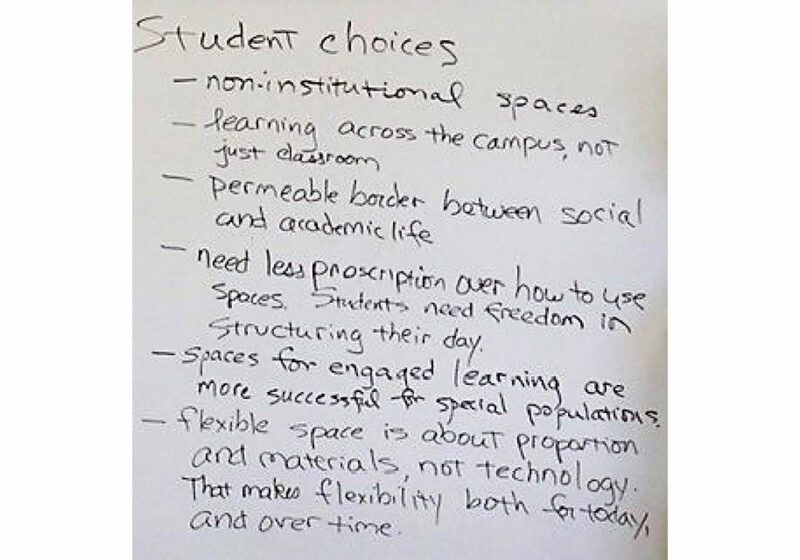 I am reflecting on what it would mean if we started giving attention to spaces for learning for everyone in our community—for student learning, faculty and staff learning, everyone learning everywhere?